Looking for the best allowance pros and cons? 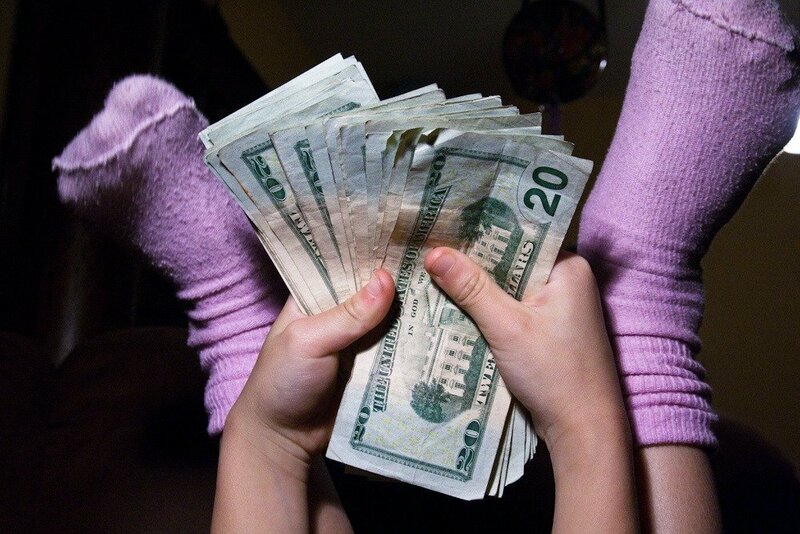 How much should we pay our kids for allowance? When do we pay them? Do they get a set amount no matter how much they help around the house?? We’ve been on an allowance system in our house for about 5 years. 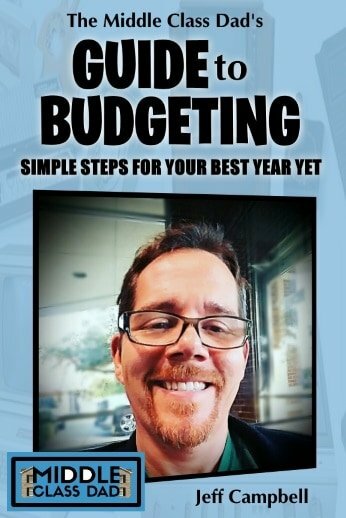 But in setting it up, my wife and I devised a list of allowance pros and cons to see if we could come up with a system that really worked. The allowance pros include getting kids involved with the household, instills the value of working for what they want, and it gives them spending money. The allowance cons can include if you make the chores too easy or too hard, if you cave when they spend it all and find something they want and you buy it anyway, and the grim reality that working for what you want sometimes isn’t fun. But there’s a lot more to get into with allowance pros and cons. So in this post, we’ll dive deep into what an allowance is (or should be). We’ll examine all the allowance pros and cons so we can make the best choices for our kids. Lastly, we’ll also examine some of the worst things we can do with an allowance that isn’t setting our kids up for success with money. When should I give my child an allowance? Up to a certain point we just bought our kids stuff when they needed it without giving it a lot of thought. As they get older they naturally become more conscious of consumerism and what their friends have that they don’t have. 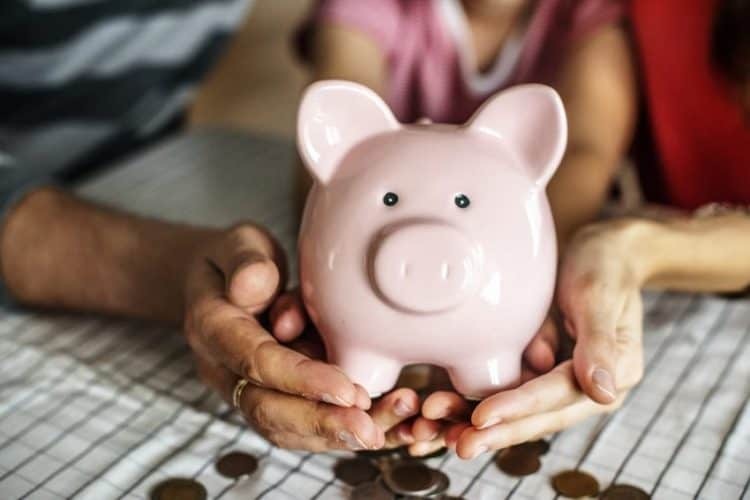 If you’re a parent, at some point you realize it’s time to teach your kids about money and the value in saving for things you want. Time to start looking at the allowance pros and cons! In grade school, most kids are taught basic concepts around money starting at age 6 (1st grade usually). Thus, that’s an excellent time to talk about it at home too (and ensure your values are aligned with what they are hearing at school. Some parents, however, start allowance as young as age 4, obviously keeping the money and the chores at age-appropriate levels. So anywhere between age 4 and 6 is a great place to start giving your child an allowance. Should parents give allowance for chores? Teaching kids at a young age how to handle money is crucial. So yes, parents should give allowance for some chores. We want to ensure that kids don’t start to feel entitled to something for everything they do. They have to understand that they will always have to do some things with no expectation of return. As we say in our house, it’s not OK to make a mess that someone else has to clean up. Thus, we don’t pay them for things they should be doing anyway. We pay them for going above and beyond. What “above and beyond” is changes with their age. The purpose of giving kids an allowance is vital. The importance of handling money well is a critical skill. Perhaps most importantly, kids need the lesson of, as the Stones say, “you can’t always get what you want”. 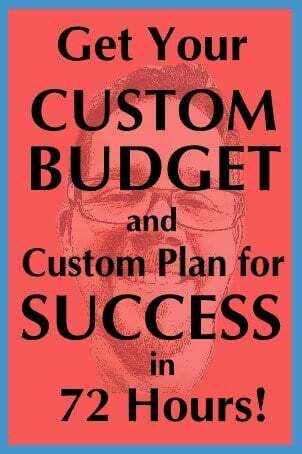 Thus reviewing the allowance pros and cons, and implementing it properly, is literally is setting them up for success for the rest of their life! You are helping them create success in business; success in their careers and in managing their household. Perhaps most importantly; success in marriage when they enter adulthood. After all, money problems and money fights are one of the Top Reasons for Divorce. But if they know how to manage money they will be one step ahead when they do get married. What percentage of kids get an allowance? According to a recent survey by RoosterMoney, 69% of parents in the US give their kids an allowance. Some parents, however, also rewards kids for brushing their teeth, general good behavior, and bathing. In my house, however, we do NOT give allowance for those things as those are general expectations where there would be a consequence for NOT doing them rather than simply rewarding them for things they should be doing anyway. 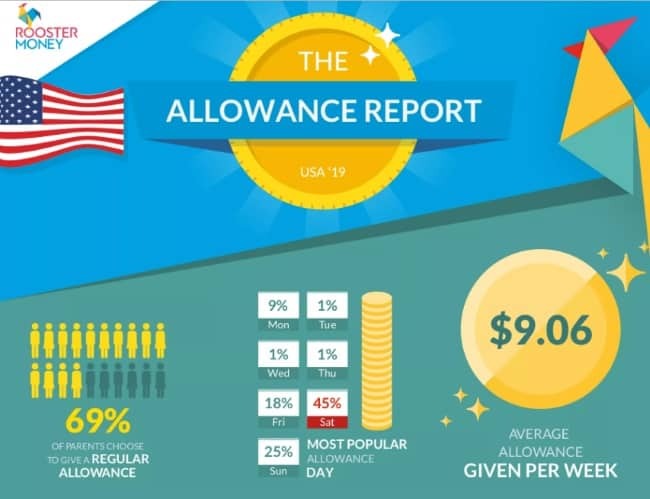 What is the average allowance? Again, going back to the survey I mentioned above, the average allowance in the US is $9.06 a week. Obviously, that’s across a wide age range (4 to 14), so just know that the younger the child the lower the amount. Most parents pay their kids on Saturdays, with Sunday as the 2nd most popular day. But more important than the day is paying them consistently each week or every 2 weeks, just like a paycheck. In our house, we pay our kids every other Friday (the same schedule as my paycheck from my day job). Thus, that also instills patience and teaches them to not blow it all in the first few days since it will be 2 weeks before the next one. What is an appropriate allowance by age? Unfortunately, many of us weren’t taught about good money habits or the allowance pros and cons by our parents. And we sure didn’t learn much about it in school. Many of us have learned a thing or 2 in the school of hard knocks. But I’d just as soon my kids skip that institution. Being a great parent isn’t about being perfect, but it is about doing our best, admitting to our kids (and spouse) when we make a mistake, and about being as transparent as possible (in age-appropriate ways). For our kids, we pay them a bi-weekly allowance (meaning every other week). But it’s not just a set amount for doing nothing. Certain basic things (picking up their stuff, taking dishes to the kitchen) are expected and not something to pay them for. It’s crucial that they learn that a household only works when we ALL pitch in; one of the top pros in the allowance pros and cons. I don’t get paid to mow my lawn; they don’t get paid to take their dirty dishes to the sink. As they get older, that expectation will increase. And the non-paid (and paid) chores will become harder and lengthier tasks. We want them to learn the value of working for what they want. Instilling this trait at an early age is crucial! Nothing in this world is truly free and we have to work for what we want. Some work differently than others. Sometimes we need to work smarter rather than harder. 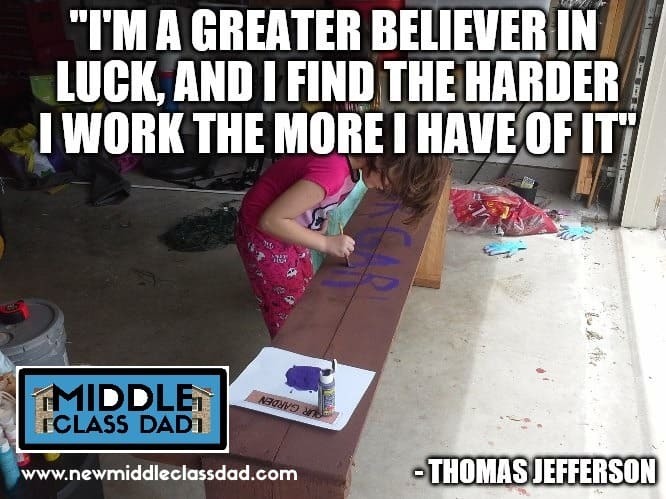 But if we only teach our kids one thing, it should be that they need to be willing to work for what they want and not expect anyone to just give it to them. That is truly one of the top pros in the allowance pros and cons list. So what is the “right” way of doing allowance? My older daughters are in their tweens (and our 3rd daughter was born in 2017). We’ve been doing things in a specific way for about 5 years or so. We probably started later than we should, but we started once I started reading a great book by Rachel Cruze called Smart Money, Smart Kids. Rachel is the daughter of renowned finance guru Dave Ramsey. We’ve followed his principals for years. So I knew when his daughter put out this book it was going to be exactly what we needed to get on track with our kids. As a complete aside, if you have or do read that book, you’ll note that Dave and Rachel don’t use the term allowance. Rather, they call it a commission. I’m personally not terribly concerned with the name, but more about the method and the consistency. But call it whatever you like. Hear Rachel expound on kid’s chores right here! The first thing we did as I began to read her book was come up with a chore chart. I know there are ones out there you can buy. But being graphically inclined, I wanted one I could customize and I put my daughter’s pictures on their charts. I custom colored them with their favorite colors. I wanted them engaged in this process and there’s no better way to engage than by making it fun! Get your FREE copy of my chore chart today! It’s a key step in giving kids an allowance and it’s yours free! The chart outlines certain tasks and allows them to check off when they do certain tasks by day. They get paid every other Friday (just like me). The power of making sure you pay your kids on time! For a while, my wife and I were slack on remembering to pay them consistently (we did pay them but not always on time). Guess what happens to workers at a job if the boss doesn’t give out paychecks consistently? They lose motivation to work hard! The same was true in our household. Giving kids an allowance is no different. We identified the issue (we weren’t putting it into our monthly budget). We fixed it and got all 4 of us back on track! They are also responsible for checking off their own charts. It can’t be done days later, so if they forget, they miss out (which teaches them responsibility and good follow through). To make the marking process easy, I went to FedEx/Kinkos and laminated ours. We hang them on the fridge with dry erase markers nearby. They don’t get anything if they don’t check anything. So the more they do, the more they get; a valuable lesson in this day and age to grasp the value of hard work and how to work for what you want. Allowance Jars or Piggy Banks? The next thing we did was realize we needed a better-organized system for storing their money other than the paper envelopes with their names on them that just floated around the house. Sure you can use a mason jar or old pasta sauce jar as an allowance jar, but we found a better solution. We really like and value the concept of save, spend and share (ie: donate to charity). So an allowance jar doesn’t quite cut it as with 3 daughters we’d end up with 9 jars. While you can find save spend share jars, what we ended up buying was way better. 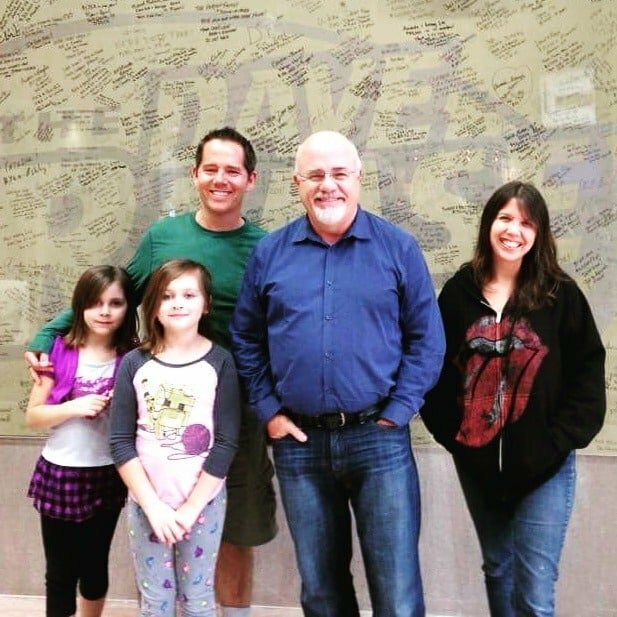 On a trip to Tennessee, we stopped by Dave Ramsey’s headquarters, got our picture with Dave and bought 2 of this awesome give, save spend piggy banks Dave Ramsey sells! This is a 3 sided piggy bank clearly labeled with each category (save, spend, and give). It’s incredibly sturdy, made of clear plexiglass with a thick removable rubber lid. How much allowance is appropriate? We divide the allowance they get into 3 categories; save, spend and give. On average, our girl’s earn about $10 every 2 weeks (each). But they are in that driver’s seat. They are responsible for selecting tasks and remembering to check them off. In all honesty, they could easily get $20 every 2 weeks if they were more focused on it. But while I do want them to be responsible, I don’t want money to be their sole focus. Now how you split up the money is totally subjective. We do something akin to 60% spend, 30% save and 10% give. But even if your numbers are totally different, just getting them in the habit & being consistent & intentional puts you well above most. You are preparing your kids for financial success later in life! And knowing the allowance pros and cons is essential for those life lessons. 7 Top Allowance Pros and Cons You Need to Know For Your Kids? Get their input on how you will divide up their cash! This teaches them patience, math, the value of saving and impulse control! I have 1 daughter who is saving for a $100 mermaid tail while the other spends her money once or twice a month on small things that will probably end up in a donate pile rather than buying something more meaningful. It’s not realistic to expect a 7-year-old to cut the grass, but it also needs to be something more than picking socks up off the living room floor. If you make it too easy they won’t learn the value of hard work. Not learning the value of hard work can foster an attitude of entitlement. The chores also need to change each year and get a little harder, lengthier and more realistic. Work your way up to cutting grass, changing headlights or brake pads and you’re setting them up to win in life! Again, I outline this above, but there’s no such thing as a free ride through life and teaching this lesson while still at home is a great thing. But if you make the chores too difficult your kids will feel defeated, will learn to give up and may begin to resent you. That being said, certain tasks need to just be expected, part of their routine and not paid. For our house, these include: taking dishes to the kitchen sink, putting away laundry and picking up socks, clothes, toys, etc. from the living room and taking to their room. I recall a great story Dave Ramsey told about Rachel when she was young and at a carnival and got enthralled with all the carney games (you know the ones where you throw darts or toss rings to win a giant stuffed animal). Rachel evidently blew all her money in the first 10 minutes while her sibling(s) were more frugal and made it last for the duration of the visit. Trust me; when Rachel was crying to Dave about giving her more money or buying her things, it would have been very easy to cave in; no one (especially Daddies) like to see their daughters cry. But this is a crucial lesson to learn and if we cave every time they blow it, they won’t learn from that mistake, will learn that to get what they want they just have to cause a scene and in the long run this could really lead to damaging behavior. We don’t need to be so principled and so focused on teaching the financial discipline that we forget to be parents and have fun with our kids. Honestly, this could be a pro as well as a con in the allowance pros and cons. After all work isn’t always fun and as parents, our #1 job after safety is teaching kids how to function in the real world. But at a young age, we don’t want chores to be so hard and painful that they get discouraged and give up (see #5). Did I cover all the allowance pros and cons you were looking for? In this post, we reviewed all the allowance pros and cons. We also looked at some great systems and some of the worst things you can do. I linked to some of my favorite tools that my family uses (including my FREE chore chart which you can download and customize. But whether you’re late to the party or are realizing that you could be doing allowance better, just by reading this post, that makes you a great parent. Great parenting isn’t about being perfect. It’s about showing up every day and trying to do the right thing. We won’t always succeed and that’s OK! Which of the allowance pros and cons are you struggling with? Which things have you tried that worked? What’s failed? For more great parenting tips, why not follow my Parenting Tips board on Pinterest! Top tips from myself and many other parenting experts at your fingertips! Check out all the great free (and paid) themes they have. Easy to use, good support (especially since my theme is free), mobile-friendly and fast loading. Thanks for another fantastic article. Where else may I get that kind of info with such an ideal manner of writing? I have a presentation next week, and I’m on the lookout for such info. Thanks for your thoughts! Feel free to use my posts or share anywhere as long as your link back or credit my site.